This book mainly centres around the relationship between Travis and Abby. It was enjoyable enough, and I can really see why it would be right up some people's street, but it just wasn't really my type of thing. I'm usually more a fan of the paranormal but as I liked the sound of this one, and some of the reviews I read intrigued me, I wanted to give this one a try. Travis and Abby have a spectacularly drama filled relationship. So much goes on between them before they even get together, and when they finally do, it's just one combustion after another. They are both carrying some baggage that is preventing them from settling down into the relationship and this causes a lot of the problems that they face. But I found myself getting bored with it. I disliked Abby from early on and this didn't improve as the book went on. I was surprised that Travis was able to get into so many fights and yet there was no comeback whatsoever. Especially the ones in the college cafeteria. This was just a tad unbelievable. Other than that, this book was well paced and I liked the writing style. It was a fairly quick read as it wasn't too deep with very little for me to dwell on. I can't say with any certainty that I will read the next book from Travis' point of view. While I would be interested to know what was going through his head during Beautiful Disaster, I don't think I would have the patience to read almost the same story again. But, we'll see after I've read some reviews. 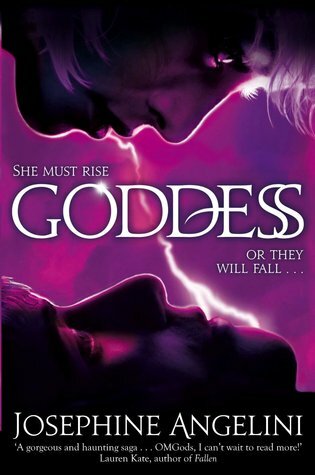 I've read a few reviews for this one, Suzanne, and I really don't like the way the relationship in this one is portrayed. The characters don't sound very likeable either - which I noticed you mentioned as well. I'm not going to pick this one up but great review, Suzanne! I liked the story. Their relationship was disastrous but it was addicting. It's actually kind of long but I read it all in one day. I plan to read Walking Disaster. I'm interested in his perspective. Abby was annoying at times but I could understand her position. I agree that I am surprised Travis didn't get in more trouble but honestly in college you kind of can get away with a lot more than in high school. 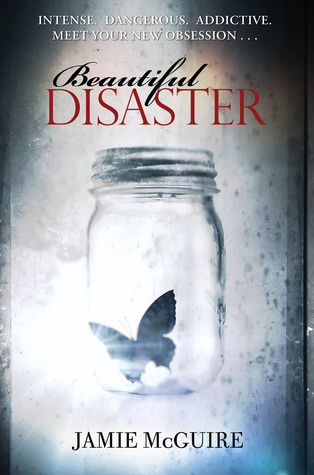 I've read a lot of reviews for Beautiful Disaster lately and though I was initially excited to read this book a while back I don't think I'd like the drama very much. Still a part of me is really curious about this book so I'm sure I'll pick it up in the future. I didn't know there's another book from Travis' point of view and for such an agressive character I'd like to see things from his side. That is, if I like Beautiful Disaster enough to continue on with the series. I bought this awhile ago, started it. but had to stop. I really didn't "feel" the book. Maybe I'll restart someday! Thanks for the hinest review!